Most people sleep on their side, while others sleep on their backs. Still, there’s a ‘special’ part of the population who find sleeping on their stomach comfortably. Although this position reduces snoring and sleep apnea, it could over time lead to misalignment in the teeth. Dental experts in Lake Nona explain that the problem stems from the unnecessary, prolonged pressure on the teeth and jaw. The obvious way to avoid this is to either sleep on your side or your back. Pile up pillows on your side to improve comfort. And of course, make sure to have your misaligned bites corrected by your dentist. People often do this when they’re bored or in serious thought. If you do this frequently for long periods though, it might shift your teeth out of proper alignment as well. The bone supports the roots of your teeth, keeping your pearly whites in place. If there’s a gradual force applied on teeth, for instance, your hand, the bone will slowly give way, with the teeth following the direction of the push, causing crooked teeth. If you’ll notice though, this is also the principle behind braces, the orthodontic care Lake Nona, FL dentists often recommend. Visit your dentist to know which treatments are best for your situation. This habit also adds stress to the teeth causing it to move out of proper alignment. If that’s not enough to gross you out and stop, this might do the trick: biting your nails exposes your mouth to different bacteria present in your fingers. So, in the name of sanitation and sanity, kick the habit. Start with identifying the root of the problem. You may be doing this out of stress or boredom. If that’s the case, find other ways to ease these feelings. 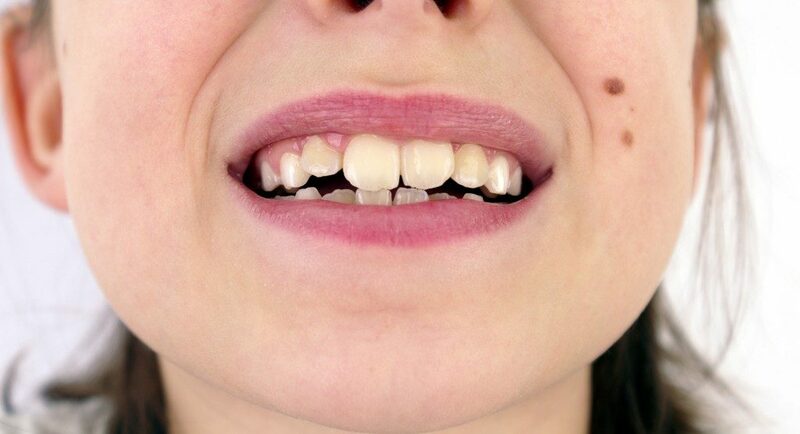 Remember, it’s not just poor hygiene and your parents that can be blamed for crooked teeth. If you do these habits, you may also be the culprit.